Surgivisio invents and develops innovative technologies dedicated to 2D/3D imaging and computer assisted minimally-invasive surgery, with many applications in orthopaedics and traumatology. The challenge of this system is to facilitate access to minimally invasive surgery by increasing the accuracy of procedures and reducing the exposure of patients and staff to x-rays. The Surgivisio system is primarily specialized in spinal surgery procedures. Inheart provides a tool-based service for cardiologists to plan and guide their catheter ablation procedure by visualizing their instruments in real time within a personalized virtual heart, reconstructed from the patient’s images. This technology is provided as a cloud-based service where cardiologists send their patient scans to inHEART to be processed by our trained case analysts using our proprietary technology. This service can accomodate a wide range of image quality and underlying diseases. Lazarus 3D uses cutting edge 3D printing technologies to provide realistic organ models. Their objective is to provide the best medical training models for medical professionals to improve surgery planning, minimize medical errors, and revolutionize best practices in medicine. President and Founder, Dr. Jacques Zaneveld, won in 2018 the NASA iTech competition and TOP 15 at the Startup of the Year contest. Pixyl is a web platform that places powerful AI tools for neuroimage analysis in the hands of clinicians. Designed to integrate seamlessly into the clinical workflow, the platform delivers clinically actionable information for improved patient care. Pixyl.Neuro.MS platform automatically detects multiple sclerosis brain lesions and quantifies their dissemination in space and time. Therapixel is a startup specialized in medical imaging, aiming to transform diagnostic radiology with the tools of Artificial Intelligence. Therapixel won the first place of the Digital Mammography Challenge in 2017 for its Artificial Intelligence algorithm for breast cancer diagnosis. Their products also include “Anywhere”, a post-processing workstation to make data more accessible to surgeons, and “Fluid”, a touchless image navigation. Nurea develops decision support and implant personalization software for cardiovascular and thoracic surgery (e.g. aortic stents, tracheal implants, etc.) Using innovative digital simulation technology, various information is automatically provided to surgeons from the scanners. This information allows him to make his diagnosis and his decision to operate more reliable. The possibility of simulating the impact of an implant placed on the patient will then make it possible to propose a personalized implant, manufactured by 3D printing. Luminare develops a sepsis process improvement software for hospitals that analyzes vital signs and laboratory work-ups of patients for evidence of sepsis in a matter of minutes. Luminare’s digital application processes some 30 different variables simultaneously and helps nurses do the critical thinking. They can see who has been evaluated, what the assessment was, any treatment that was prescribed, where the patient is in the treatment process and whether or not the patient is progressing. BioMathematica is specialized in microbiome-related genomic data analysis and mechanistic, mathematical modeling and simulation of the microbiome to provide quantitative and predictive guidance to biotechnology and pharmaceutical companies. It brings a strong mathematical expertise, deep understanding of microbiome-related therapeutics and disease areas, and industry experience to customer projects. Most importantly, BioMathematica is the first to bring a virtual microbiome to a desktop for personalized microbiome simulations using digital microbes. Enancio, the equivalent of MP3 for genomic data. Today with the progression of personalized medicine, the amount of genomic data to handle and analyze is exponentially growing. In 2025, volumes are expected to reach 100x the volume currently stored in YouTube. Structures involved in sequencing and analyzing genomes are looking at solutions to transfer, store and analyze voluminous files. With its genomic compressor, Enancio brings a solution to these problems. Galen Data is a medical device cloud connectivity platform that allows medical device manufacturers to leverage cloud technologies easily and affordably. As medical devices become more and more cloud reliant with innovations in remote diagnosis, remote patient monitoring, complex algorithms and artificial intelligence, Galen Data acts as a great enabler. Galen Data allows innovators to focus on their discoveries instead of software infrastructure and is fully EU MDD, GDPR, FDA and HIPAA compliant. SentinHealth is a French MedTech company specialized in innovative integrated care solutions for monitoring and preventing exacerbations of major chronic. Implanted in the stomach, the “Digital Implanted Stethoscope” monitors cardiorespiratory biomarkers evolution which allows to get excellent rough signals before any processing. Listen early to act effectively. Predisurge develops software solutions designed to assist physicians during preoperative planning and intervention of endovascular repair of aortic aneurysms. These solutions are based on PrediSurge technology : patient-specific predictive numerical simulation of stent-graft implantation within patients’​ aorta. This digital surgery brings tremendous information to the physician, as soon as the preoperative planning phase, to support and secure his choices. Goal is to enhance and optimize the intervention, to treat patients more accurately and in a custom way, and to reduce operative complications. Medeo has designed applications for physicians to work with connected devices during clinical examinations. Our IoT platfom support medical devices from every major manufacturer. It allows healthcare system integrators to ensure connectivity to EMR especially for ambulatory medicine. The aim is also to improve health by monitoring post-surgery patients or the ones suffering from chronic disease or NCDs (Diabetes, Heart failure, COPD, Asthma, Hypertensive heart disease). Optellum develops the first AI Clinical Decision Support software for lung cancer diagnosis & treatment. It expedites optimal therapy for patients with cancer, while reducing aggressive interventions for millions who don’t need treatment. Their solution is based on Artificial Intelligence & Machine Learning technologies applied to the world’s largest clinical dataset. Radiostic is an advanced image analysis platform for stroke triage, powered by the last advances in AI, so that patients can rapidly access to the best treatment. Radiostic in an imaging application that will be available in the cloud, directly connected to the PACS. It automatically detects and quantifies clinical markers of stroke on a single click, such as the volume of infarcted tissue and penumbra. The goal is to assist M.Ds and guide their diagnosis in the best conditions, by providing the relevant metrics. Radiant HEALTH.TODAY is a newly formed Texas Medical Center Healthcare Software and services corporation. It is being led by health care, systems, data science, engineering and marketing professionals with advanced medical technology and consumer marketing business development experience. Its purpose is to address systemic weaknesses in the current healthcare system and leverage technology to address current consumer needs in the US market and beyond. This will be achieved through a multi-faceted systems and data integration approach focused upon consumer services, biometrics, analytics, and a blockchain trust platform. HOPI Medical provides a comprehensive system for teleconsultation including a mobile plateform and medical softwares. 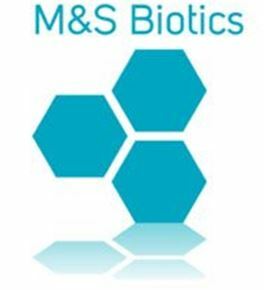 M&S Biotics is a health care analytics company that leverages Radio-Frequency Identification (RFID) technology and artificial intelligence to improve resource utilization and efficiency within the operating room (OR). Providing OR metrics and automation technologies is essential to create more efficient, effective and safer surgical procedures due to the ever increasing strain on nations health care system.